#1: Geto Boys "Mind Playing Tricks On Me"
Sometimes the one hit is the right hit. 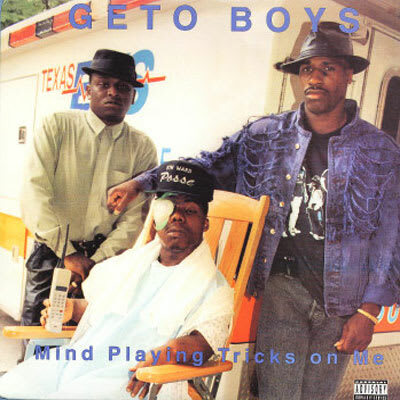 "Mind Playing Tricks" is by far the biggest success in a catalog of Geto Boys classics and deservedly so, huge without a dance beat and only the barest semblance of a hook. It's just an undeniable masterpiece of paranoid schizophrenic fiction, bolstered by the real-life near-madness of all three members. It's an Isaac Hayes-induced emotional splatter of love and rage and pain. If Rap-A-Lot ever produced a perfect song, this was it. If rap as a whole ever produced a perfect song, this was it.